Are you overwhelmed by woven wraps? Or are you desperate to try more lengths, brands and blends? It’s A Sling Thing and The Wrap Club can help! The Wrap Club is a subscription service designed to allow you to try a range of wraps for an affordable monthly payment. Here at It’s A Sling Thing we have a large selection of woven wraps for hire covering lengths from 2-8 and a wide variety of blends, brands, designs and weaves as well! The Wrap Club allows you to find what you like in woven wraps, what works for you and your baby. It might be that your baby has grown and you want to explore blends,, or longer wraps for multiple pass carries or that they are walking and you want to explore different lengths to allow you to wrap on the go with a shorter wrap. Maybe you just really want to try #alltheslings! The slings come to you in a largely broke in state allowing you to know what these wraps are likely to be like once they are washed and worn, which can be a mystery when they arrive with you in loomstate straight from the weavers. We have Try Before You Buy Schemes with Firespiral, Ali Dover, and Sycha Slings too. 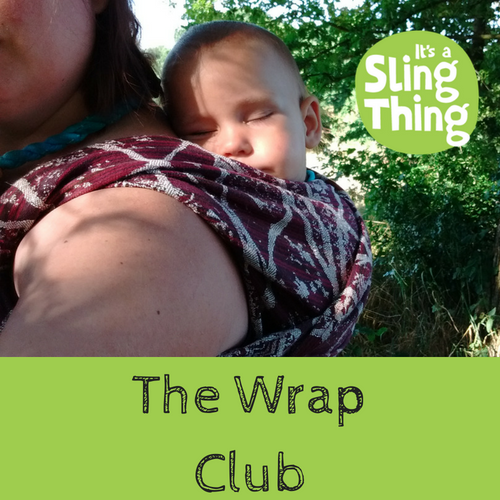 So you will get a discount code off buying with them when you hire one of their slings, or try it through our Wrap club subscription service too. You can even choose to have a Firespiral Only subscription and take advantage of our wide range of the amazing Firespiral Slings wraps. Every month for the next three months we will send you one woven wrap from our selection. When you subscribe you will be asked for your preferences to allow us to select a wrap suitable for you. Every two months for the next six months we will send you TWO woven wraps from our selection. When you subscribe you will be asked for your preferences to allow us to select wraps suitable for you. Having two wraps at once allows you to compare and contrast different lengths or blends. Subscribe to The Wrap Club now!